Several Caribbean cruises from New York are available to people living in the Tri-State area and even to people who are willing to fly into New York from overseas or elsewhere. Cruise ship vacations from the Big Apple sail out of the Manhattan Cruise Terminal. The cruise terminal in Manhattan is ideally located where it is accessible from three major international airports: John F. Kennedy International Airport, La Guardia International Airport and Newark Liberty International Airport. The Manhattan Cruise Port Address is: 711 12th Avenue (between 46th and 54th Streets), New York, NY 10019. This puts the port a short distance from Times Square and close to many other attractions in New York City. It is quite understandable that your family will want to choose one of several Caribbean cruises from New York. Additionally, many of the top Caribbean cruise lines sail out of New York. 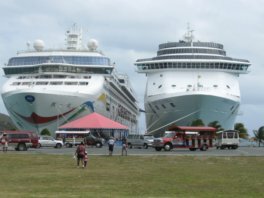 These Caribbean cruise lines include Carnival Cruise Line, Norwegian Cruise Line and Princess Cruises. 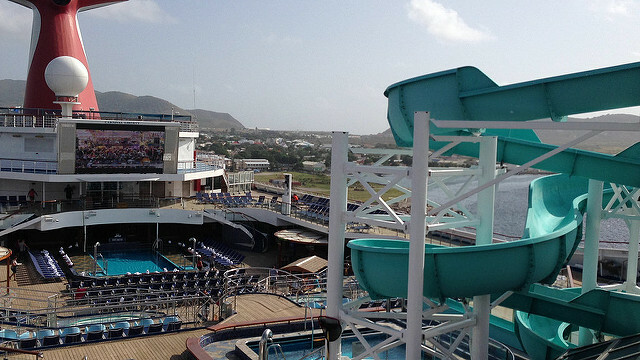 This makes it easier to find an inclusive Caribbean cruise that your family will enjoy. Note: Cruise ship vacations offered from New York by leading cruise lines are subject to change. You will find that more cruise itineraries are offered by Carnival and Norwegian than by other cruise lines. However, each cruising company reserves the right to re-position their ships at any time. 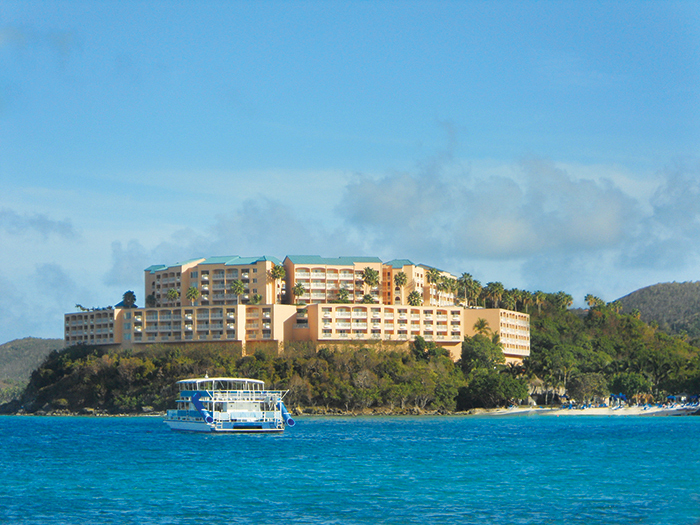 See some sample Caribbean cruises from New York available at the time of writing this webpage. Carnival has one ship offering cruises from New York to the Bahamas and the Eastern Caribbean. These sailings are not year-round. 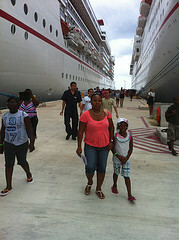 Norwegian has two ships with cruise ship itineraries to the Bahamas and the Eastern Caribbean. Norwegian currently offers the most Caribbean sailings from New York. Disney Cruise Line offers limited sailings from New York to the Bahamas. These four cruise lines offer limited and longer cruise sailings from New York to the Caribbean. 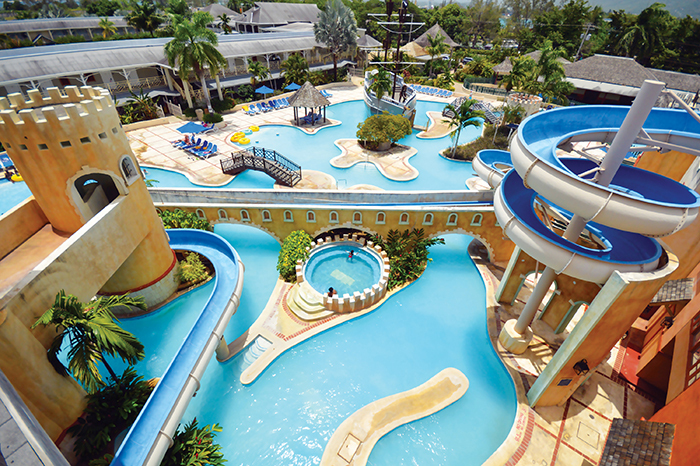 If you are thinking of cruises from New York, you will be happy to know that Royal Caribbean offers exciting inclusive itineraries to the Caribbean from the Cape Liberty Cruise Port. This port is right "across the bridge" in New Jersey and is easily accessible by train and taxi, or one can choose to fly into the Newark International Airport. It is quite easy to book a cruise from the Manhattan Cruise Terminal. Use the search box below and select "New York" as the departure port. The New York Port's location puts it about twelve (12) miles from La Guardia International Airport, fifteen (15) miles from Newark Liberty Airport and twenty (20) miles from John F. Kennedy Airport. La Guardia is the nearest airport to the New York cruise terminal and you will spend less time getting from there to your cruise ship. Note: If you plan to fly to your cruise port, I recommend getting in overnight to ensure that you do not miss your ship the next day. 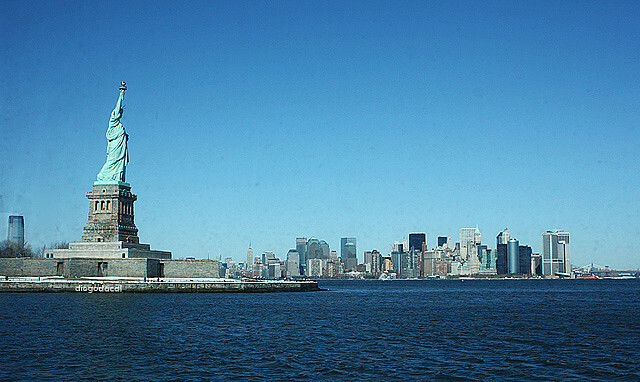 Use the search box below to find airfares and hotels for your New York trip. 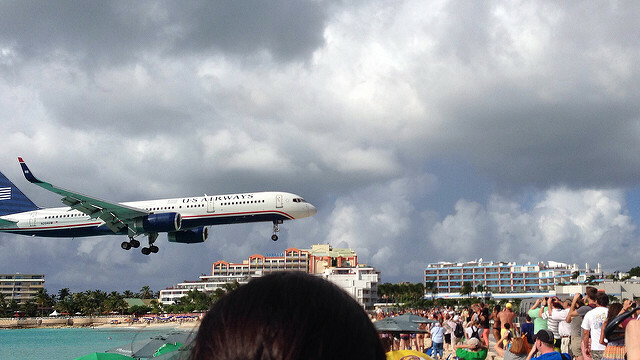 The most economical means of transportation from either one of the three airports is by taxi. Note that in addition to the metered fare, you will be responsible for any toll paid along the way plus tips. La Guardia will give you the shortest ride and the lowest fare. Public transportation is the least expensive, but the most inconvenient. However, if you have time to burn and would love to see a little of New York City, then you should consider this option. Someone at the airport will direct you how to catch the bus. Plan to pay $30 or more per day for parking at the Manhattan Cruise Terminal. For those on longer cruises, there is maximum parking fee. It is our hope that this information on Caribbean cruises from New York has helped you. We wish you a safe trip and many happy memories with your family.